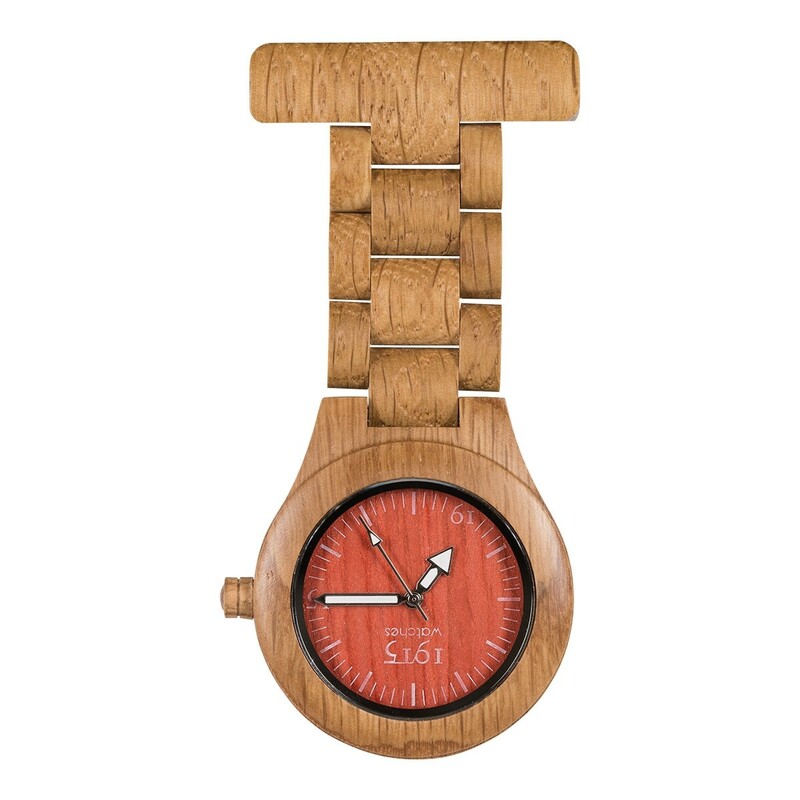 The 1915 Watches wooden nurse watch is an unique handmade fob watch for nurses made with fair trade wood. The 1915 Watches wooden nurse watch is an unique handmade fob watch for nurses made with fair trade wood. 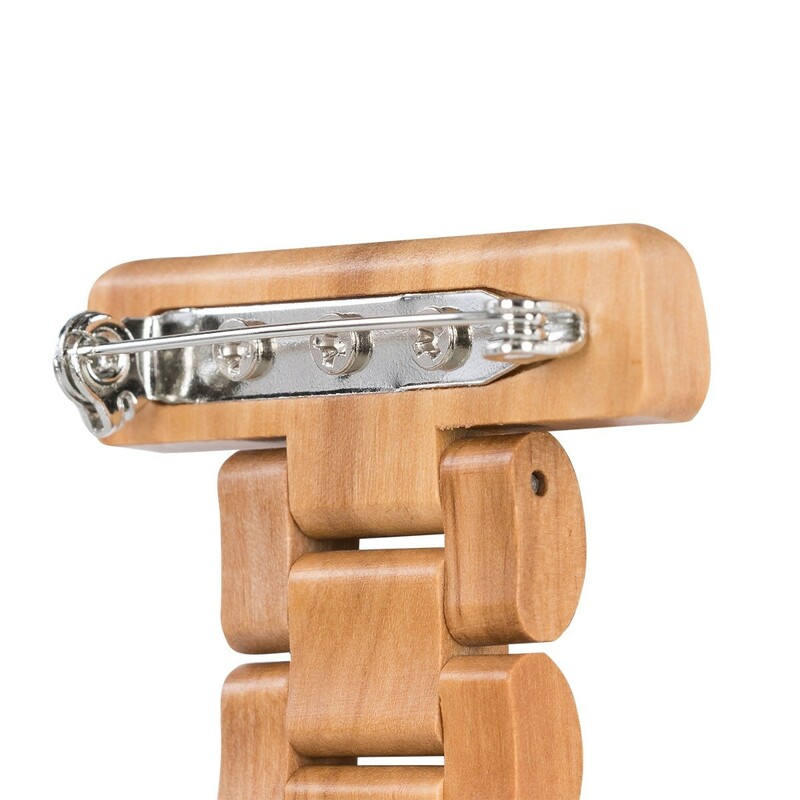 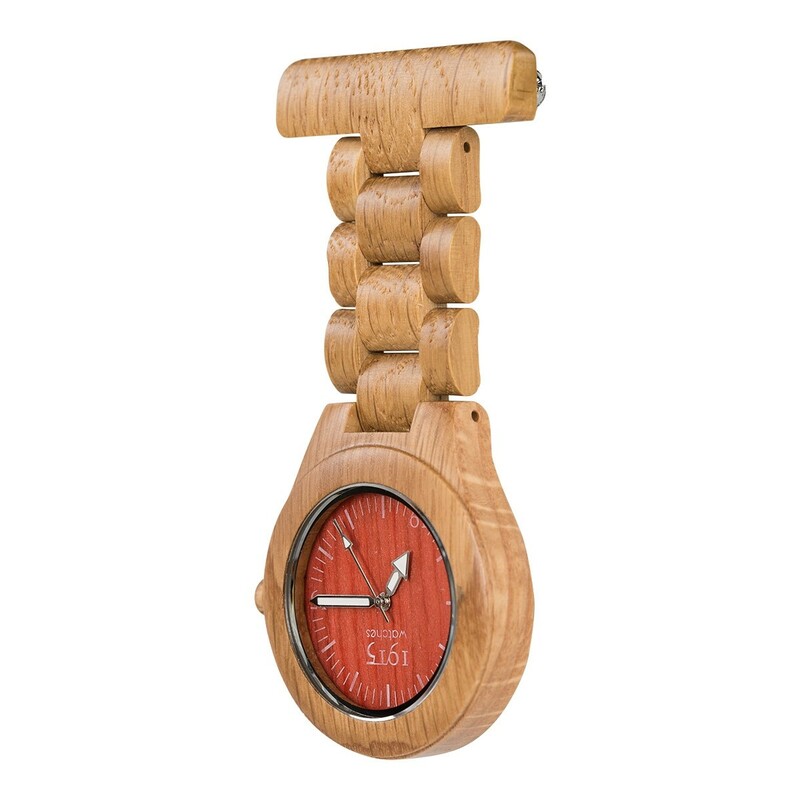 This wooden fob watch is a Dutch design, and its high quality Swiss movement makes it a reliable and durable watch. 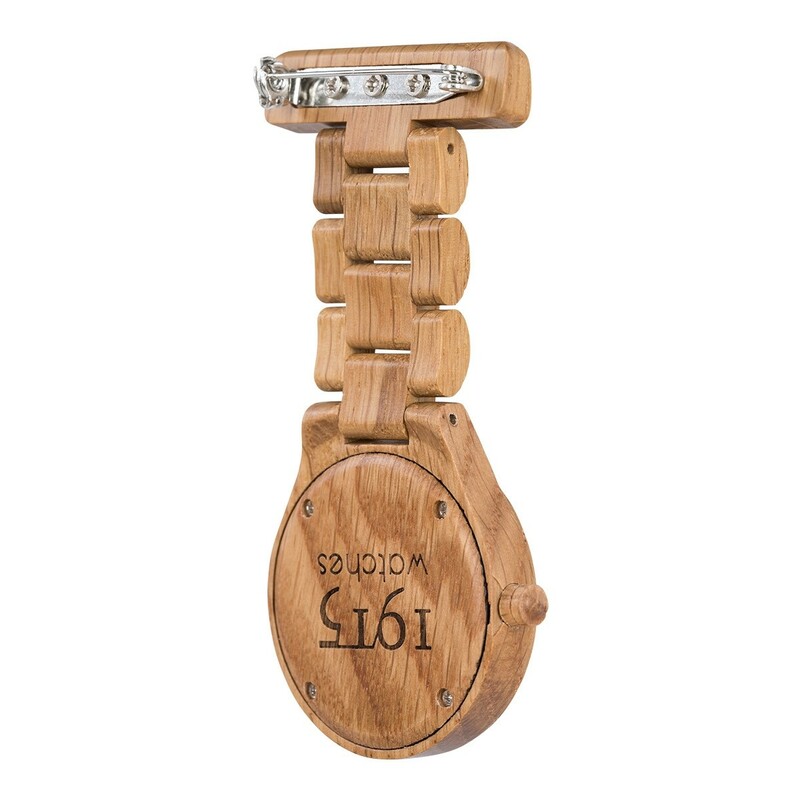 It features a clean cut brushed aluminium dial and a sweeping second hand.